Queensland's capital, Brisbane, began life as a British penal colony, but its prime location on the central eastern coast of the country has ensured a leading role in Australian affairs ever since. From helping the Allied forces win WWII to staging some of the world's biggest sporting events in more recent years, the history of Brisbane has always been one of global interaction. The surrounding region had been home to the Jagera and the Turrbal Aboriginal people for literally thousands of years, prior to the arrival of Europeans in the early 1800s. A British surveyor general, John Oxley, was the first foreigner to find the Brisbane River, which he named after then-governor Sir Thomas Makdougall Brisbane of New South Wales. Previously, the coastal landing points of Moreton Bay had been considered a poor location for a settlement. However, the discovery of the mighty Brisbane River changed everything. 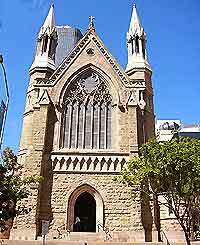 The history of Brisbane only began in 1824 because the town of Sydney wanted to ship out their worst convicts to another penal colony far away. A colony was established at Redcliffe Point, and then moved a year later to a peninsula on the river where the city's current business district is located. Over the next 20 years, thousands of Australia's worst criminals passed through the penal colony at Brisbane. Many escaped into the bush and either died or were assimilated into the local Aboriginal tribes. The local Aboriginals, however, did not welcome the Europeans and tried relentlessly to starve them out by destroying their crops. The colonists responded by shooting any Aboriginal in the area, creating a very strained relationship between the two groups. As the number of convicts dwindled, free settlers gradually moved into the area. 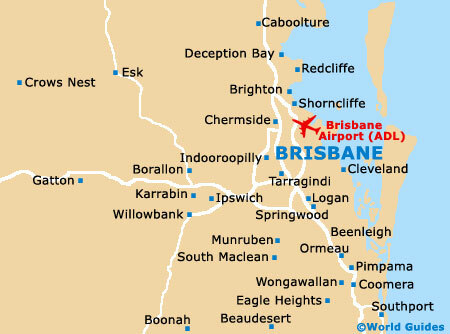 The province of Queensland was created in 1859 and Brisbane became its capital. Although the city was the site of notable events like the world's first use of public electric street lighting in the early 1880s, it remained a backwater compared to Australia's southern cities like Sydney, due to its rather isolated location. The city's location on the eastern coast made it very strategic for Allied forces battling in the South Pacific during WWII. United States General Douglas MacArthur based his operations here, and the city became home to thousands of Australian and American military personnel. 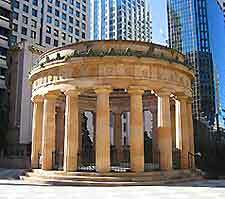 Brisbane was actually one of the key lines of defence for Australia during the war. The 1980s was a great decade in Brisbane's contemporary history, putting the city in the world spotlight by the hosting of a number of important sporting events. The Commonwealth Games staged in the year of 1982 generated some serious infrastructure development and boosted the city's reputation as a pleasant livable place to be. In 1988, the World Expo was hosted by Brisbane around the South Bank Parklands. These two events gave the city a much-needed confidence boost, since it had historically lived under the shadow of the more popular and larger cities of Melbourne and Sydney. Today, Brisbane enjoys a thriving arts scene and is one of Australia's most fertile live music environments.